A Crazy Canuck Living in Zany Italia! : Great advertisement! 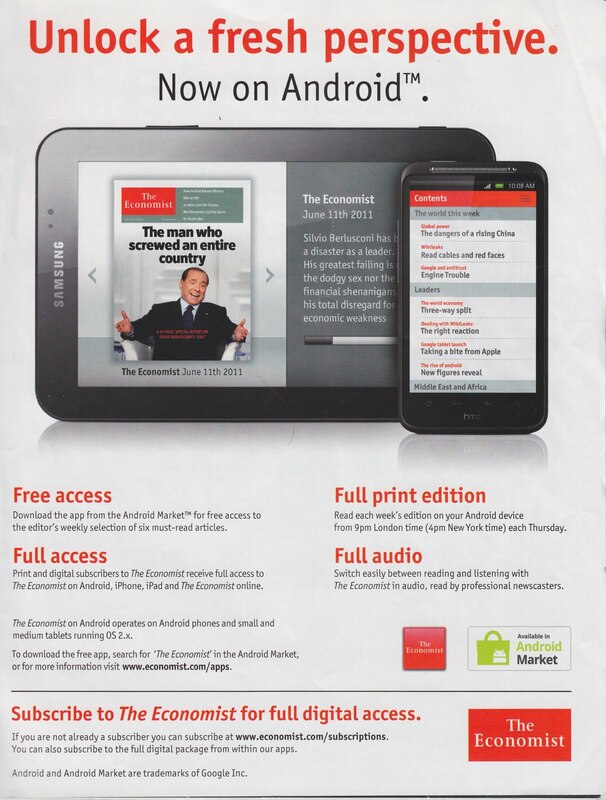 The Ecomomist comes out once per week. That (should) mean that in one year there are 52 issues, right? So you'd think that in order to advertise their fine magazine on the iPad, iPhone and what-not (on the 2nd last page), they'd use a variety of covers, even say those dedicated to climate change problems or the world economic crisis, right? Instead which cover have they used for their August 6th-12th, 2011 edition? The one with poor Silvio! Not THE greatest way to pay respect to a country's leader, right?